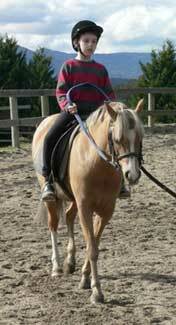 Genevieve, is very much a miniature Arabian in type in a pony package. 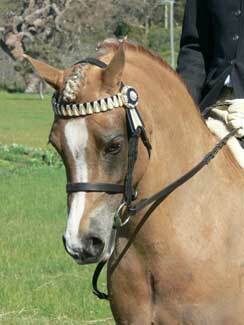 She has the dished face, broad forehead, beautiful eyes, topline and lovely movement. 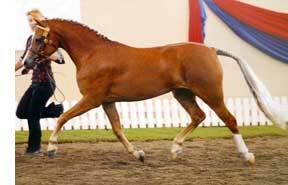 This is probably why when we were looking for a leading rein/first ridden size pony for Spencer and Evan, Genevieve was of immediate appeal. Importantly, we were also looking for temperament. 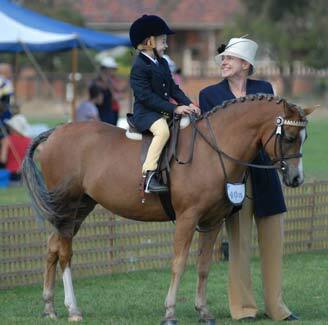 Genevieve has excelled in the show ring in halter from very limited outings and is now an outstanding saddle pony. (Below) Spencer Liapakis and Wade Bailey on Genevieve. 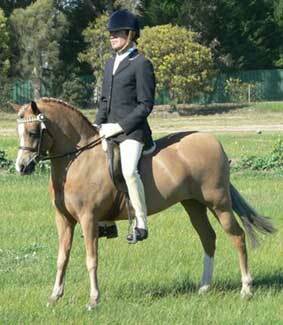 Genevieve has been sold to the Inglis family of NSW.